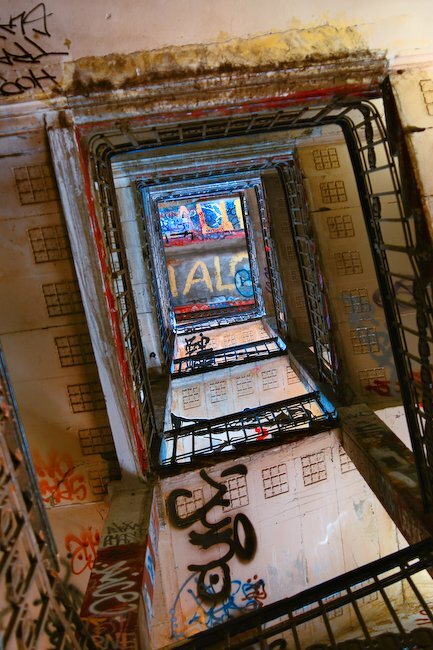 Berlin, Kunsthaus Tacheles: View of the main stairs. The building is a self-organized collective of artists. Beware lest you should fall!! Recently been here, and it’s a great photo opportunity. Nice shot!